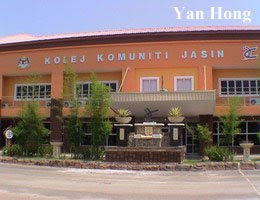 Sweet Memories Of ZuiYanHong: Merlimau Community College, Malacca. Merlimau Community College, Malacca is located not far away from Merlimau Town. 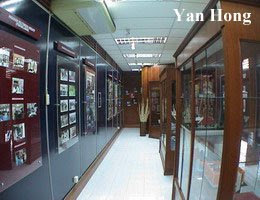 It's within walking distance from Merlimau Town. This college is under the administration of Malaysia Higher Education Ministry. The above photo was taken at the Merlimau Community College canteen. The girl in the photo is a student of Merlimau Community College. At first, I thought that she was the canteen operator. 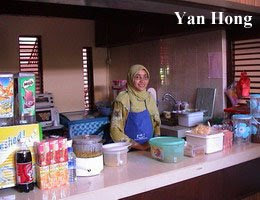 After a brief conversation with her, I found out that she was having practical for her study at the canteen. The name of this girl is Nurazwin Bt Mohd Razuki. According to Nurazwin, she is a student of Accountancy And Business Management Program of Merlimau Community College. Apart from the programs for youngsters, Merlimau Community College also provides long-life learning programs for adults. These programs are conducted on Saturday or Sunday. The fees varies from RM5 to RM20 and the certificates of participation are included. For detail information, feel free to call 06-2631616. Its a cool college school.,. Other degrees in some school focusing on theory while this is equevalently doing actual works and theory XD Cheer up!